The Carmel River has just begun flowing after the recent rains. The entire river has been diverted into a man-made river bed flowing through a giant raw notch cut out of a mountain. 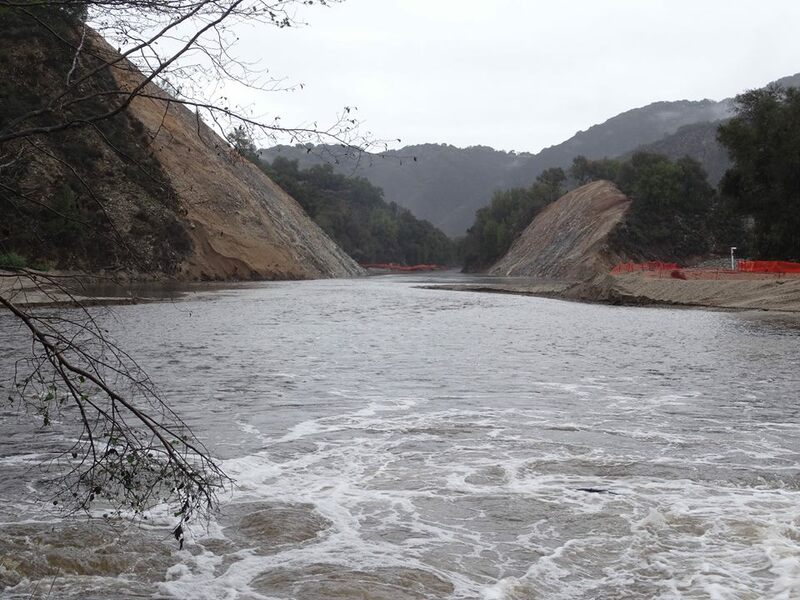 The channeling of the Carmel last week into a carefully engineered river bed was designed to bypass the tons of sludge behind the 106-foot-tall San Clemente Dam, which has blocked the river for 94 years. The 3-year-project, which began last year, required workers with the Granite Construction Company to dynamite a mountain and dig out a million cubic yards of dirt.